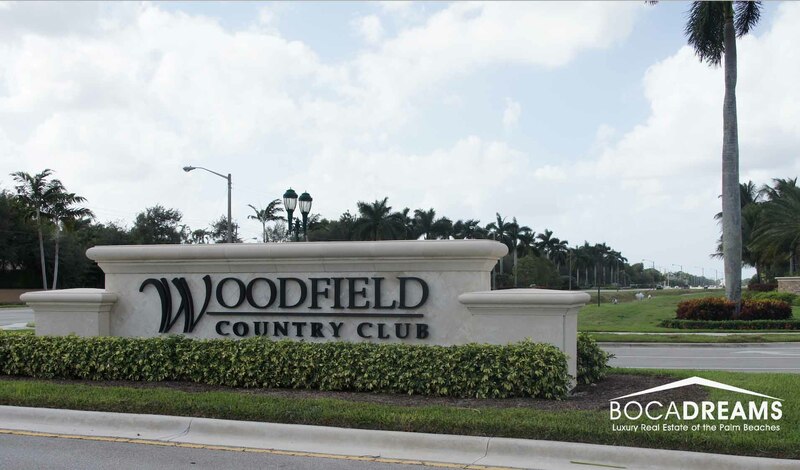 Find Woodfield Country Club homes for sale in Boca Raton below! With over 20 meticulously-planned luxury neighborhoods to choose from, the gated Woodfield subdivision is a top choice among South Florida homebuyers looking for the perfect place to settle down in. Spread out over 830 acres, there are over 1,300 residences, ranging from townhomes, zero lot lines, and single-family homes. Amenities for residents and members to enjoy at Woodfield Country Club include the 18-hole championship golf course originally designed by legendary golf architect Joe Lee, 20 tennis courts (seven rock-pipe, 12 Har-Tru, and a Decoturf), 12,000 sq ft lagoon-style heated swimming pool, state-of-the art equipment at the fitness center, a handful of fine and casual dining choices, and of course, family and adult-friendly community activities and social events to join in on. In the current active listings for the Woodfield Country Club estate market, the highest home price is $	with the lowest available property listed at $. The average price for homes in the Woodfield Country Club	community is $	with a median price of $1,075,000. Woodfield Country Club	homes for sale range in size from Sqft	to Sqft	with an average lot size of acres. Woodfield Country Club estate appeals to a wide range of homebuyers in the area. Didn't find what you were looking for? Fill out the form below and let your Woodfield Country Club dream property find you instead!